It was a great timing for me to go for a trip suddenly....why say so?! 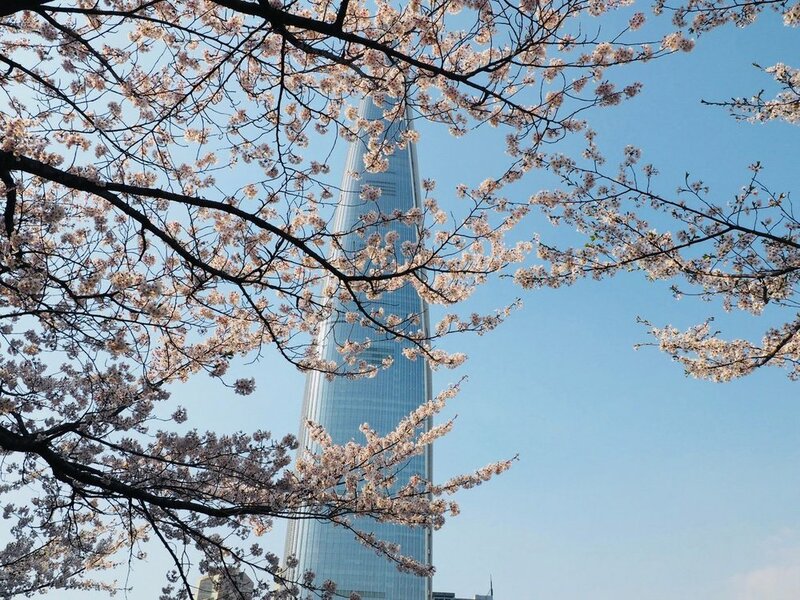 Seoul looks so great when the cherry blossoms are in full bloom! I am going to introduce 2 nice spots to enjoy cherry blossoms view. We went to Seokchon Lake at our 1st day trip, here is one of the best spot to watch cherry blossoms every year! The photo below is one of the decoration outside Lotte mall. A lot of food truck at outdoor area, those are attractive and looks so delicious!!! After 3mins walk from the food truck....you will just shocked by the view in front of you!!!! Cherry blossoms in full bloom...and whole lake was surrounded by cherry blossoms!!!!!!!!! There are so many visitors at the walking path, everyone look so enjoy and happy since all of them keep wearing a big smile while photo taking! Few Korean sentences could be found when you are walking along the lakeside. It is a good location to take some sweet photos with your beloved one! Also, there are different style of cherry blossoms! This is pink, drooping and the only one at Seokchon Lakeside. This is white and fill with pink at the core part! Such a great time to spend with @minloulou walking under those cherry blossoms! A colourful tunnel area at the middle of the lake. Those art students were sketching under the cherry blossoms. Went to Bukchon Hanok Village with a nice weather, blue sky and sunny! you need to keep quiet as there is residential area!! 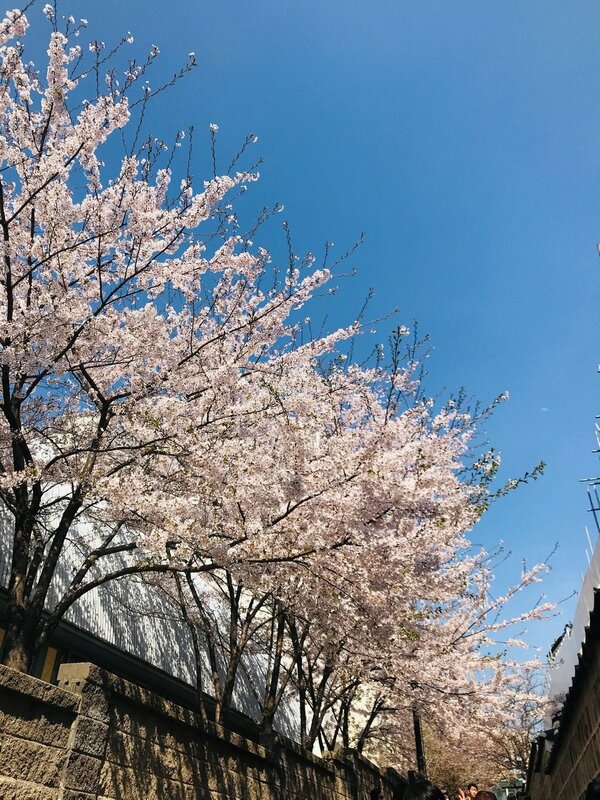 The cherry blossom spot located at an alley near Hanok Village! Not just watch in the K-drama but watch the actual view directly! 1.Take subway line 3 to Anguk station, exit 1 for cherry blossoms, exit 2 for Hanok Village! 3.Take subway line 3 to Gyeongbokgung station, exit 5!